Members of the Pharmaceutical Society of Jamaica. L-R: Verna Edwards (Past president: 2007-2009), Hermine Metcalfe (Past PSJ executive member), Ainsley Jones (Current PSJ President 2016-2018), Vivienne Watson (past president: 1999-2002), and Anne Logan (PSJ Member). The Pharmaceutical Society of Jamaica (PS) kick-started its 90th anniversary celebrations announcing the recent acceptance and implementation of clinical pharmacists post in the public health system; and plans to finalize several significant developments related to the profession of pharmacy. 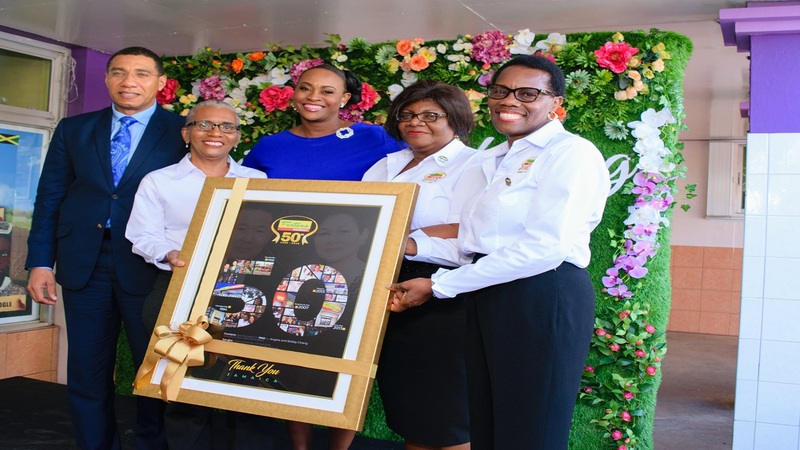 Ainsley G. Jones, President of the PSJ made the announcement at the 90th Anniversary Launch and Thanksgiving Breakfast at Eden Gardens Wellness Resort & Spa on Sunday (February 18). Jones said the developments represent the fundamental work being executed by the PSJ in the interest of pharmacists and for the benefit of Jamaicans across the island. The impending developments comprise the inclusion of Pharmacy Technicians under the Pharmacy Act and Regulations of 1975; training of pharmacists to administer some vaccines; the initiation of negotiations between the PSJ and local Insurance companies relating to the reimbursement of pharmacists for Medication Management Therapy; implementation of clinical pharmacists posts in the public health system; and the beginning of the transformation of "pharmacy house" (PSJ Head Office) located at 41 Lady Musgrave Road. 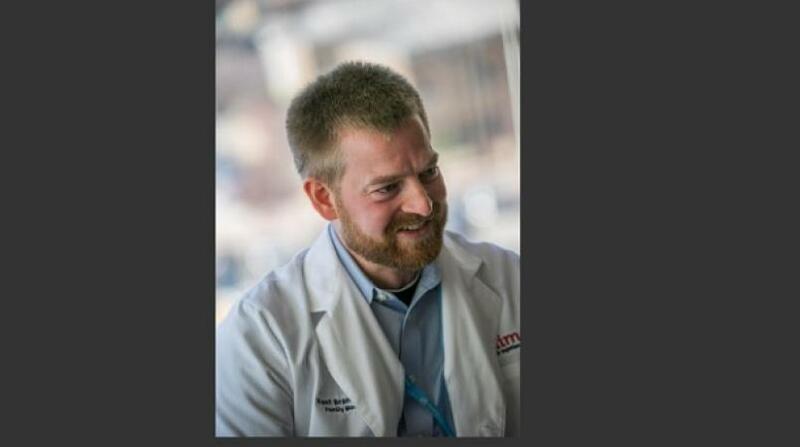 “We have been strident in our advocacy for pharmacists and negotiated through two political administrations, to ensure that pharmacists had large representation on the Pharmacy Council. We’re elated to have laid the groundwork for these developments which we know will make a remarkable impact as we usher in a new era to deliver the highest quality service,” Jones commented. Jones noted that the PSJ has been hosting continuing education seminars, workshops, and conferences long before they became compulsory, in an effort to build capacity for members. The PSJ agitated for continuing education to be compulsory for re-registration to be introduced into law. Pharmacists have to register with Pharmacy Council every year in order to practice; and 12 points via continuing education conferences are required by law for re-registration. Pharmacists over the years. 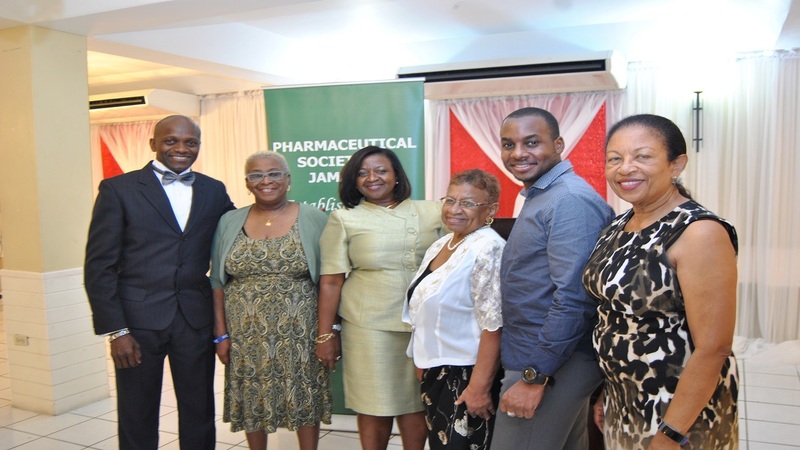 The most recent pharmacist - registered 1 year ago - to the longest registered pharmacist in attendance at the Pharmaceutical Society of Jamaica (PSJ) 90th Anniversary Launch and Thanksgiving Breakfast are highlighted to the audience at Eden Gardens Wellness Resort & Spa. From left are: PSJ President Ainsley Jones (9 years), Dr. Ellen Campbell Grizzle (41 years), Clinical Pharmacist, Everybody's Pharmacy/University of Technology - Dr. Ernestine Watson, (34 years), Dr. Diane Robertson (50 years), Okeeno McLeod (1 year), and Mrs. Hermine Metcalfe (48 years). 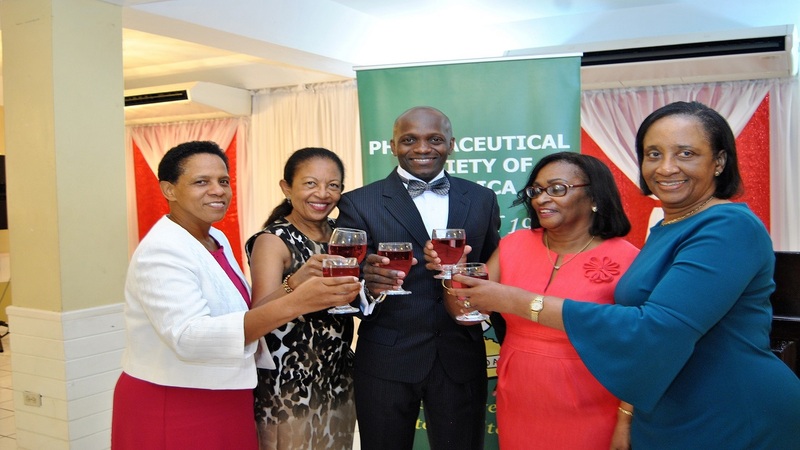 The PSJ has achieved regional acclaim as a Member of the Caribbean Association of Pharmacist (CAP) after the body initiated the formation of CAP in 1976. Since then, three of the members became President of this group: Dr. Ellen Campbell Grizzle, Mrs. Yvonne Reid, and Dr. Grace Allen-Young (deceased). In commemoration of the 90th anniversary, several activities are scheduled throughout the year. The “Launch & Thanksgiving Breakfast” to be held on Sunday February 18, 9:00am – 12 noon, at Eden Gardens Wellness Resort & Spa, 39 Lady Musgrave Road, Kingston 5. An out of the ordinary Labour Day community activity on May 23. Our Special 90th Anniversary Conference, a three-day commemorative event to be held June 22 – 24 at the Montego Bay Convention Centre and the Iberostar Rose Hall Hotel. Pharmacy Week Activities November 18 – 24. This will feature a commemorative magazine, newspaper supplements, health fairs at several locations island-wide, the annual induction and awards ceremony for pharmacists and an “Open Day” at the Emancipation Park, New Kingston, where various aspects of pharmacy will be showcased to health professionals and the general public. The 90th Anniversary celebrations will culminate in Cocktails and Christmas festivities.